Before I begin, I would like to apologize first and foremost, because this blog post is purely based on my emotions and not on expertise. Why is Facebook cracking down on bloggers who see Facebook as a free traffic? 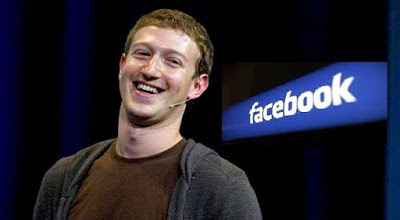 The CEO of Facebook Inc., Mark Zuckerberg made Facebook look as though it is simply a social media where people connect when he launched the platform. It allowed over a billion people to get on the social network, and then turned them into leads for marketers. Are you one of those who has seen your blog traffic from Facebook dwindle over the years? Have you invested so much in growing your Facebook page to a certain number of followers that you expect to bring you steady traffic, but it just never happened? Do you look at your Facebook insights and wonder how your post reaches are so low compared to the number of your page followers? Like Google, it is no more news that Facebook regularly builds new algorithms and update old ones that determine what users see on their feeds/timeline. If you didn't know before, now you know. First of all, take a time to think about your personal Facebook page - the one you have your friends and relatives. When you log on, do you get to see every cat-and-dog posts in your news feeds? No, you can't. Facebook now filters what it shows you. Take, for example, you have 2,500 active friends. If 1,000 out of these friends have recent posts, can you go through all those posts without getting overwhelmed? No, it is impossible to go through this large information. So, what happened? Facebook has studied your previous reactions with posts. It has stored the types of posts you react to. It knows the friends you never ignore their posts. The posts similar to the ones you enjoy and react to will be served to you. You would see more of the posts of friends you regularly connect with. For example, I get served my Uncle's post first, even if it was three days old that he posted it. The downside here is that Facebook cannot tell what posts are or will be important to you. All its algorithms do is rank posts which are popular and getting more reactions higher in your feeds. Posts, no matter how unique or important, that fails to get a reaction will be pushed down, and you may miss it. This is exactly how it happens on a Facebook page you set up for your blog or website. Even though you have got a lot of followers, only a little of a fraction of your followers may see your posts, and a few from those will react to it. This means lowering organic reach, which in turn means low traffic generation from Facebook. Why is Facebook reducing organic reach for pages? Facebook, like Google, say the reason for this is to give users the best experience. But, personally, I believe Facebook has fully shifted to a business entity which is all for profit. So, we should stop seeing it as a social media platform, even though that is what it is. Facebook is now been wired to serve the best purpose for marketers who are ready to pay their precious dollars for lead and sales generation. For bloggers who need traffic to their blogs, Facebook is literally saying, "If you don't have money, get out." Like we bloggers know, more web traffic means more money. Facebook is now telling you to use your money to make more money. No matter the Facebook hack and tricks you may have learned and possess, if you attempt to spam Facebook with posts and links to your blog, aside from the algorithm reducing your post reaches, you could violate Facebook policies and get suspended from some features or get penalized altogether. A few weeks ago, Facebook announced that they would soon commence crack down on sites/blogs which do not offer good user experience, either due to poor navigation or excessive Ads placements. So, if you plan to post and repost content on Facebook pages, you risk suspension. What do we do to lowering Facebook Page Reaches? We all know SEO is affected by social shares and reactions to your links. If we don't get enough reach, how then can we increase blog shares and engagements? 1. Connect your Facebook pages to your groups. While looking for what works on Facebook, I discovered a new feature on Facebook pages that allow you connect it to your groups. Facebook groups are like communities. The post receiving most reactions and gaining more popularity stays up. The good thing about Facebook groups is that majority of the members are notified of a new post, except if they had opted out of receiving notifications. For Facebook pages, if your posts do not reach all your followers, they can only get to see the posts when they view your page. For groups, you reach more people, and you get the option of posting directly via your Facebook page ID. This way, you can even get more pages followers that are based on your group community. 2. Encourage more engagement with your followers. On your page, if you post regularly, engage your followers by liking and replying their comments. Attend to many comments and messages you may receive, and then encourage them to visit your page often, instead of having to wait till when they see your posts on their personal Facebook timeline. Run Ads. Yeah, that is what Facebook expect businesses, marketers, and bloggers to do. Pay for promotion so you can reach more of your target audiences. There are many features that have been added to the Facebook Ad platform. It has improved so much with a lot of super features like creating different Ad sets (just like in Google AdWords), targeting audiences with options such as interests, locations/address, age, gender, and other demographics. The Ads insights are so easy to use. All you need to do is run a few trials by splitting Ads, till you know what works for you and can perfect how to properly optimize your Facebook Ads to give you the best result and ROI. We bloggers with little or no funds for Facebook paid promotion will have to work hard and look elsewhere for traffic generation to our blogs.